What happens if I quit my job while I'm receiving Florida workers' compensation benefits? Workers' compensation coverage provides many different kinds of benefits to an injured employee, including medical treatment, wage loss payments, and disability compensation. The good news is that quitting a job doesn't affect your right to receive continued medical care under workers' compensation. Payments for treatment of your injury under workers' compensation should continue whether you are unemployed, move to another job, or even relocate to another state. Wage benefits. Employees are entitled to wage replacement while they recover from their injuries and are temporarily unable to work. If a doctor places work restrictions on an injured individual, he or she is eligible for these "lost time" payments. If you quit your job, your employer may claim you are "voluntarily" limiting your income, disqualifying you from wage replacement benefits. For this same reason, quitting your job can complicate any claim you make for unemployment benefits. Temporary partial disability benefits. If you were able to return to work in a different capacity, or your employer made accommodations that allowed you to work, you can receive temporary partial disability to make up for the difference in your wages. However, if you quit the job, you lose the right to receive these payments. Permanent disability benefits. If your injury permanently prevents you from doing the job you used to do, you may continue to receive disability payments for as long as your doctor issues work restrictions. If you quit while receiving these benefits and the employer stops payment, you may be entitled to a permanent disability settlement. In most cases, employees should always wait until they've reached maximum medical improvement before quitting. Once you know the permanent effects of your injuries, you can begin to calculate your losses to obtain a fair workers' compensation settlement. Want to know more? Simply fill out the quick contact form on this page today to schedule a no-cost consultation with our work injury attorneys. Can I sue a negligent employer for a workplace injury in Florida? The Florida workers' compensation system is set up as a no-fault means of employee injury compensation. While this stipulates that employees are eligible for injury compensation even if their own negligence contributed to the incident, it also prevents them from suing an employer for the injury. Intentional injury. The employer can be sued if he or she deliberately intended to injure an employee. Virtual certainty. If your employer's conduct was so bad that it was a "virtual certainty" an injury would occur, you may be able to sue an employer for negligence. This action requires the employer to have been repeatedly and explicitly warned of a condition certain to result in injury, but who deliberately concealed or misrepresented the danger from employees. Please note that "virtual certainty" is an extremely difficult burden to prove, and few cases are successful in this area. Claim denial. State courts ruled that employers may be subject to injury lawsuits if their actions cause unfair denial of your workers' compensation claim. Actions may include the employer’s failure to report the injury to the insurance carrier in a timely manner; an employer’s denial that the injury occurred in the course of employment; or an employer’s misrepresentation of the accident or injury to the workers’ compensation carrier. Simply put, an employer cannot hide behind the workers’ compensation law barring legal action while failing to provide benefits under the same law. Lack of workers’ compensation insurance. If an employer doesn't have sufficient workers’ compensation insurance to cover the costs of an injury, an employee may file a direct claim against the employer. If your workers’ compensation claim was denied, or you are being treated unfairly by an employer after an accident on the job, you should contact an attorney immediately. Our Florida work injury attorneys can help you understand your legal options and get the maximum amount you deserve for your suffering. Simply fill out the quick contact form on this page today to schedule a consultation at no cost to you. Can I Be Fired While Receiving Florida Workers' Comp? 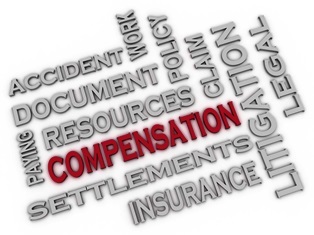 Do I Have to Settle My Workers' Compensation Case? All car accidents are different, and each one will have specific circumstances that make to more difficult to get compensation. Some minor car accidents may only require a victim to file an insurance claim, while others may turn into battles with insurers and at-fault drivers. With this in mind, there are a few ways to help victims determine when they should speak to an attorney after a crash. Some victims may be able to handle their cases without legal representation if they're willing to do the legwork and negotiation to settle the claim. However, cases that involve high medical costs and extensive knowledge of the law should definitely be handled by an attorney. The extent of your injuries. If your injuries have already healed completely and you won't suffer long-term effects, your case will be much simpler than if you experienced permanent injury. The more extensive your injuries are, the more you could potentially recover in damages—and the more resistance you may face in settling the claim. Whether fault is contested. There are many ways to establish fault for a car accident, and victims are often assigned a portion of blame by their insurers. If you cannot prove the other driver was at fault—or at least, that you were not at fault—you may need an attorney’s help to gather evidence and get fair compensation. How much you have paid for your losses. Some accident cases settle for a few thousand dollars, while damages for other cases may climb into the millions. If your total expenses for property damage, injuries, lost income, and permanent losses are more than you can afford to lose, you should seek an attorney’s advice. Whether your case will go to court. There's a big difference between negotiating with a claims adjuster over the phone and taking your case to court. If you cannot agree to a settlement with your insurance provider, you'll need a lawyer to represent you in court to protect your rights. At Johnson & Gilbert, P.A., we believe all accident victims deserve to know their rights, even if they don't need a lawyer. That's why our firm provides free consultations to individuals injured by the negligence of another. Simply fill out the quick contact form on this page today to schedule your free case evaluation with our Florida injury attorneys. How Does Subrogation Affect a Car Accident Case? Many injury victims are afraid of pursuing a case because they fear they cannot afford to hire a lawyer. While some attorneys charge an hourly fee for their work, most lawyers use contingency fee agreements for their injury cases. This arrangement allows victims to spend their money on medical treatment and injury recovery rather than paying upfront legal fees. The basis of contingency fee agreements is an attorney’s pay is "contingent" on recovering damages for the client. If you hire a lawyer under a contingency contract and your case isn't successful, you won't owe anything to the firm. 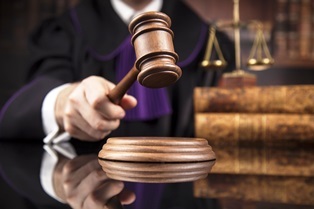 If you win or settle your case, the attorney’s fees are paid directly out of the award. Incentive to maximize recovery. Since your attorney gets a percentage of your settlement, he or she will be more invested in recovering as much compensation as possible in your case. No upfront fees. There are a number of upfront costs involved in filing a lawsuit, including filing fees, paying for copies of medical records and other documents, costs of hiring expert witnesses, and other legal expenses. Contingency agreements are often structured to cover all court costs until the case is resolved. Less risk to the client. Contingency fees shift some of the burden of winning the case to the attorney, allowing injury victims to get legal help without taking on additional debt. Fee approval. Florida law places a fee cap of 33-1/3 percent on out-of-court settlements of up to $1 million, which increases to 40 percent if the case goes to trial. While an attorney may charge any percentage up to the cap, our contingency fee contracts are approved by the Florida Bar Association to ensure that our clients’ rights are protected. Not only do we take all injury cases on a contingency-fee basis, every consultation with our firm is free. Simply fill out the quick contact form on this page today to schedule your free case evaluation with Johnson & Gilbert, P.A. What Does "Filing Suit" Mean? Will full coverage car insurance pay for all of my accident losses? Many drivers assume a “full coverage” policy is all they need to recover after a wreck. However, full coverage car insurance doesn't actually guarantee “full” payment. Full coverage refers to the combination of several types of insurance that help a driver pay for auto damage—and often doesn't take into account the complete cost of medical and wage losses. 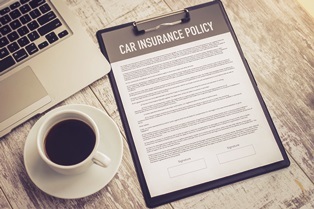 Unfortunately, there's not a singular insurance requirement that can be called “full coverage,” and the term may mean various things in different states. State-required no-fault insurance coverage. All motorists are required to carry a minimum of $10,000 in personal injury protection (PIP) and a minimum of $10,000 in property damage liability (PDL) in order to drive in Florida. If an accident occurs, each driver and insured passenger file claims under his or her insurance policy. Each driver’s plan may also cover additional members of his household, authorized drivers of their vehicles, and passengers who don't have PIP coverage because they don't own a vehicle. Collision coverage. While state-required PDL pays for the damage to someone else’s car in a collision, it doesn't cover damage to a driver’s own vehicle. Collision coverage is an optional form of insurance that reimburses any relatable costs after a collision with another driver, striking a sign or pothole, or even backing into a parked car. Comprehensive coverage. Just as with full coverage, comprehensive is a somewhat misleading name for this type of insurance. Simply put, comprehensive coverage is an optional policy for damage to your vehicle caused by any non-accident event. This coverage can be used for losses such as fire, vandalism, theft, storm damage, or striking a wild animal. Optional insurance coverage can make a big difference in the amount of compensation you collect after an accident. For example, while not required by Florida law, policies for bodily injury liability and uninsured motorists offer additional payments for crash-related injuries. If you're having trouble getting full compensation from an insurer, we can explain your options at no cost to you. Simply fill out the quick contact form on this page today to schedule a free case evaluation. Do I Need Special Insurance for a Hitch and Trailer? Florida is one of many states that requires a basic riding safety course in order to obtain a motorcycle license. However, these courses can be taken for any number of reasons, from learning how to become a safer rider to saving money on your motorcycle insurance. Many studies show that riders who complete official training courses have lower injury and fatality rates than other bikers. Safe riding courses offer a number of advantages to motorcyclists of all skill levels, including adapting to new technologies on upgraded bikes and mastering steering and braking techniques that can save a rider’s life. Required courses. Any person who operates a bike with an engine size greater than 50cc must pass a basic skills test to get a motorcycle license in Florida. New riders of two- or three-wheeled motorcycles must pass the FRTP-authorized Basic RiderCourse (BRC) or Basic RiderCourse updated (BRCu) before a motorcycle endorsement can be issued. Improvement courses. If it's been a while since your Basic skills test, you're considering carrying passengers on your bike, or you're looking to ride in new environments, there are additional courses available through the Motorcycle Safety Foundation (MSF). These classes range from beginner to experienced riding, and offer on-cycle sessions to practice riding and crash avoidance in a controlled environment. On-the-road experience. Every ride gives you more practice controlling your bike. Before each one, you should perform a few emergency stops and check the steering in your driveway to be sure you're in control. If you want to practice the skills you learned in a recent course, make some time to visit an empty parking lot or deserted road before taking to the streets. We're dedicated to providing motorcyclists the assistance and information they need to stay safe on Florida roads. Use our website to learn more about your rights and responsibilities as a motorcyclist, or fill out the form on this page today to schedule your free case evaluation with one of our injury attorneys. What equipment do I need to ride my motorcycle legally in Florida? 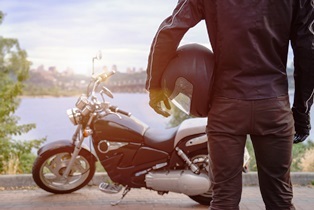 Under Florida law, motorcycle riders may need various kinds of equipment depending on the rider’s age, type of bike, and limits of his or her insurance. For instance, Florida has an optional helmet law for insured riders over 21. Generally speaking, a biker over 21 who is covered by an insurance policy providing for at least $10,000 in medical benefits for crash injuries isn't required to wear a helmet. However, since head injuries are the most common cause of motorcyclist deaths, we recommend all riders wear helmets as part of their regular motorcycle safety gear for every ride. Equipment laws usually apply only to standard motorcycles. Motorcycles with 2 brake horsepower or less, bikes with motors with a displacement of 50cc or less, or any motorcycle incapable of traveling more than 30 mph on level road are generally exempt from some of these statutes. Eye protection. Riders cannot operate motorcycles unless they are wearing eye-protective devices, such as goggles, approved by the Department of Transportation (DOT). Helmets for riders under 16. Children under 16 are prohibited from operating mopeds or riding on motorcycles unless wearing securely-fastened protective headgear approved by the DOT. Lights and mirrors. Motorcyclists are required to have and use working headlights, tail lights, reflectors, turn signals, and left and right side rear-view mirrors. Passenger equipment. If a motorcyclist is carrying a passenger, the bike must be designed for this purpose by providing the passenger with his or her own seat and his or her own footrest. License plates. Just as drivers do, a motorcyclist is required to have a state-issued license plate to legally ride on the roads. If a motorcycle is registered to a person under 21, state law requires the license plate to be a different color and design than the standard plates. If you're not wearing proper protection, or don't have safety gear installed on your bike, you could be pulled over and ticketed for a traffic infraction. Use our website to learn more about your rights and responsibilities as a motorcyclist, or fill out the form on this page today to schedule your free case evaluation with one of our injury attorneys. What if my work-related injuries prevent me from returning to my former type of employment? 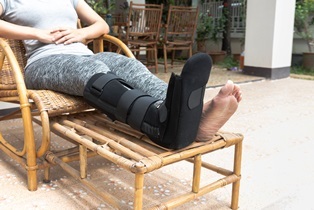 While many employees receive workers’ compensation until they're able to resume work, some injuries may prevent employees from ever returning to their former employment. One of the lesser-known benefits available through workers’ compensation is vocational retraining services, which allows claimants to learn new skills and transfer into new occupational fields at no cost to them. The Florida Division of Workers’ Compensation Reemployment Services Program helps injured workers who are unable to earn at least 80 percent of their compensation rate after a work-related injury qualify for new employment. To be eligible, you must have an injury or illness that qualifies for Florida workers’ compensation; be legally able to work in the United States; and have suffered the injury on or after October 1st, 1989. Continuation of financial support. Workers who enroll in a state-sponsored vocational training program can receive workers' compensation benefits for up to 52 weeks as long as they continue to make sufficient academic progress. Free tuition and materials. In most cases, the only expense not covered by the State of Florida is transportation to and from required classes. All other services, including tuition, books, vocational counseling, analysis of transferable skills, resume building and job-seeking courses, job placement services, and on-the-job training are provided at no cost to eligible injured workers. Job placement assistance. Some locations may offer job market information and placement services as part of their vocational counseling services, while others may refer students to other job placement agencies. Workers are required to apply for the Reemployment Services Program, including providing any documentation required for eligibility consideration. Before accepting a claimant, staff members conduct a vocational assessment to determine eligibility for any or all of the retraining services. During the screening process, staff may examine medical and vocational records; perform basic employment testing; provide early job placement assistance; and otherwise determine if an injured worker can perform any duties from his or her former occupation. If you're unable to return to your former job after a work injury, our qualified Florida workers' compensation attorneys can explain your options in a free case evaluation. Simply fill out the quick contact form on this page today to get started. Do I Have to Settle My Work Comp Case? How do I qualify for permanent total disability benefits under Florida's workers' compensation system? If your on-the-job injuries prevent you from returning to your former position and you're unable to work in any capacity, you may be eligible to receive permanent total disability (PTD) benefits through workers’ compensation. However, it's difficult to qualify for these kinds of benefits, since only claimants with catastrophic injuries or those incapable of employment are eligible for permanent total benefits. In order to qualify for permanent disability benefits, you must have suffered a work-related injury that has reached a state of maximum medical improvement (MMI). This means your condition is unlikely to improve even if you undergo more treatment in the future. You must also be unemployed and not physically capable of engaging in any type of sedentary employment. If you haven't suffered one of these conditions, you may still be eligible for PTD benefits if you can prove your injury restrictions prevent you from engaging in sedentary-level employment within a 50-mile radius of your home. In most cases, PTD determination are made by examining the worker’s injury records, restrictions, transferable skills available, and whether he or she engaged in a good faith job search. If you're awarded PTD, you can receive a payment of two-thirds of your average weekly wages for as long as your disability continues until you reach age 75. Our Florida workers' compensation attorneys can help you gather the necessary evidence to prove your disability claim. Simply fill out the quick contact form on this page today to schedule a consultation at no cost to you. What Does It Mean to Settle a Work Comp Case? How can Bodily Injury Liability and Uninsured/Underinsured Motorist coverage help me if I'm involved in a crash? 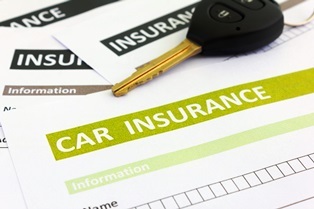 Car insurance is invaluable to avoid financial hardship after an accident. While the State of Florida requires minimum levels of insurance, these amounts are often far too low to compensate a victim for the full costs of an accident. It pays to have as much auto coverage as you can afford, especially optional extras such as bodily injury liability or uninsured/underinsured motorist coverage. Under Florida’s no-fault system, PIP provides payment for any medical expenses or lost wages a policyholder incurs in an accident. PDL provides payment when a policyholder is responsible for damage to another person’s vehicle or property. Bodily injury liability (BIL). This coverage provides payment for injury or death expenses incurred when the policyholder causes an accident. If you're a driver and cause injury to another person, he or she will only be able to seek payment through the limits of your BIL policy. Uninsured motorist coverage. The no-fault insurance system works best if all drivers are insured. However, one in every four Florida drivers doesn't have car insurance, making them vulnerable in the event of a crash. An uninsured/underinsured motorist (UM) policy is an extra insurance policy that compensates drivers if they're struck by an at-fault driver without coverage, or has too little coverage to pay the full cost of your injuries. State laws don't require anyone to carry BI or UM coverage. But as you can see, these policies might make a big difference in the amount of compensation a driver receives after a crash. If you're having trouble getting full compensation from an insurer, we can explain your options at no cost to you. Simply fill out the quick contact form on this page today to schedule your free case evaluation.